Humboldt's feminized OGKZ marijuana seeds are one of the most appreciated strains by the Californian people. It is one of the best hybridization works of indica dominance in 2018 that Humboldt has created. You will have good production and potent effect with gasoline flavor and citrus and sweet notes. A marvel for the taste buds that will show how this bank shines. OGKZ feminized seeds are a hybrid that descends from the already famous Zkittlez strain, one of its most appreciated strains for its flavor and OGKB (OG kush breath), two great Californians with whom Humboldt has shone this past year, making it one of the most wanted indicas of the Mendocino´s Hills. 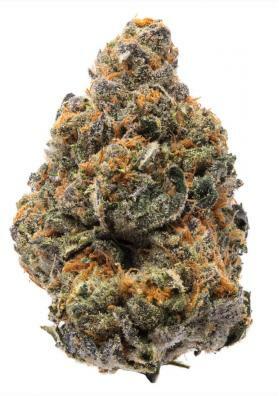 This strain produces very attractive buds at sight and smell, creating great expectations, which will not be disappointed as it fulfills pleasant aromas and flavours for almost all tastes. The plant will be large size outside, where Humboldt advises us the pleasant atmosphere of a greenhouse, since it enjoys the dry and warm climate as good Californian and for that reason the Mediterranean climate will suit it. Indoors the best for the OGKB is to prolong a little vegetative growth. The appearance of its buds once manicured will be unsurpassed by its thickness and colors. OGKB feminized seeds will reward you for your care with up to half a kilo per square meter indoors after the approximate two months of flowering. If you decide to cultivate it outdoors you will be able to collect up to 3 kilos per plant about two weeks after the end of the summer, a considerable yield. The effects produced by the OGKB are very powerful, as it reaches 24% THC, cerebral and long duration, which give an inspiring feeling after the first puff. As we already know from its genetics, the aroma released by the buds of this plant is a splendid excess of quality. The dominant smell and taste is gasoline, but that's not all, and it will hit you with a complex smell that intelligently and gently mixes sweetness with citrus and cedar, to finish with a taste on the palate in which you will get to appreciate the touches of pine, incense, grapes and cinnamon. Height: 3-4 meters in the garden. Flowering: 60-65 days (indoors) or two weeks after the end of the summer. Production: indoors 400-500 g/m2. Outdoors until 3Kg per plant.